1- Photo Op: Passes near Messier 10. 3- Reaches perihelion, at 0.384 AU from the Sun. 6- Passes into the constellation Serpens Cauda. 8- Passes +4.7 magnitude star Zeta Scuti and into the constellation Scutum. 9-Crosses the galactic equator southward. 10-Grouped with Messier objects M11, M16 and M17 in a 10 degree circle. 12-Passes near the +3.5 magnitude star Xi Serpentis. 15-Crosses into the constellation Sagittarius. 21-Passes near the +3.9 magnitude star Rho Sagittarii. 31-Crosses the ecliptic plane southward. 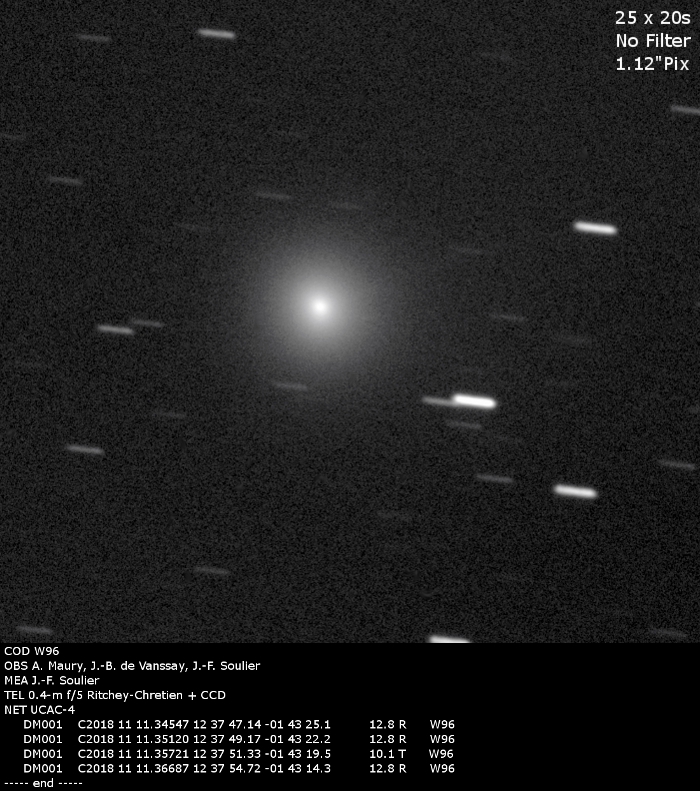 American amateur astronomer Don Machholz has discovered his 12th comet in the early hours of November 07, 2018. Currently designated DM001, the comet is yet to be assigned to his name given that some Japanese astronomers discovered the comet at roughly the same time. [Update 12/11/2018] The comet has now had it’s official designation C/2018 V1 (Machholz-Fujikawa-Iwamoto). 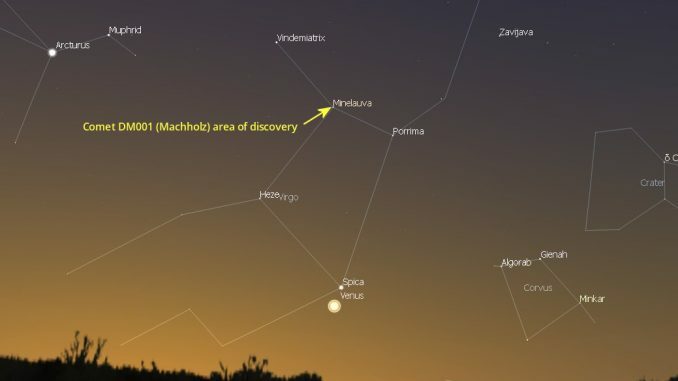 A three-way recognition split between Machholz and two Japanese astronomers.